...see it coming. If you look at your camera all the time, you will run out of power. However, if you never use it, you will never see it coming and will die anyway. One of my favorite aspects is that despite being a truly scary game, there is very little to no gore or violence. If the player gets taken by the enemy, the screen shows a mascot up in the cameras face for about one second with a bit of loud noise. 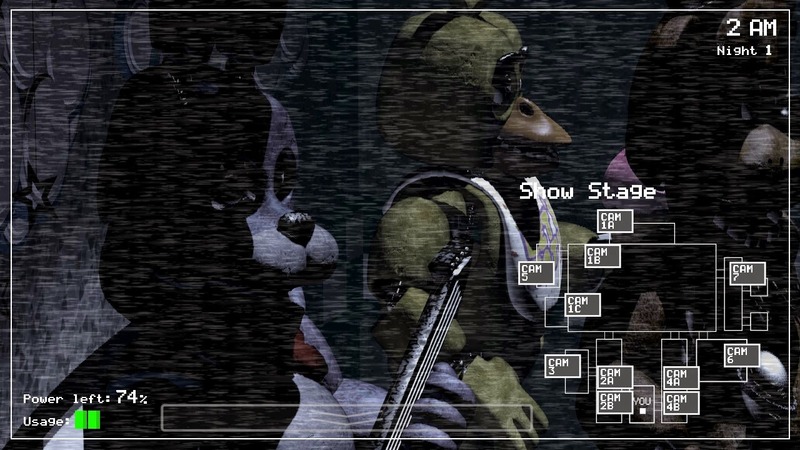 Apart from that, two eyeballs can be seen in the game over screen to communicate that the player has been shoved inside of an animatronic suit. That is all. Beyond that, everything is handled 100% with atmosphere. And what at atmosphere we are given. I think the reality is that the dev was planning to have one thing happen in the call and then scrapped that idea and used the audio he had recorded to make a mash up. However, the speculation to the contrary makes it all the more fun. 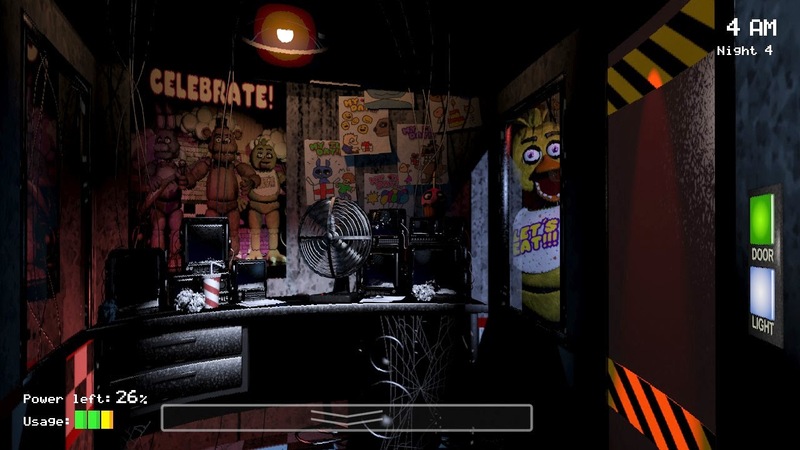 Five Night’s at Freddy’s is made with flash and as such has very low system requirements, so just about anyone can pick it up for five bucks on steam and give it a go. I have also read reports that Mr. Cawthon is working on a sequel. 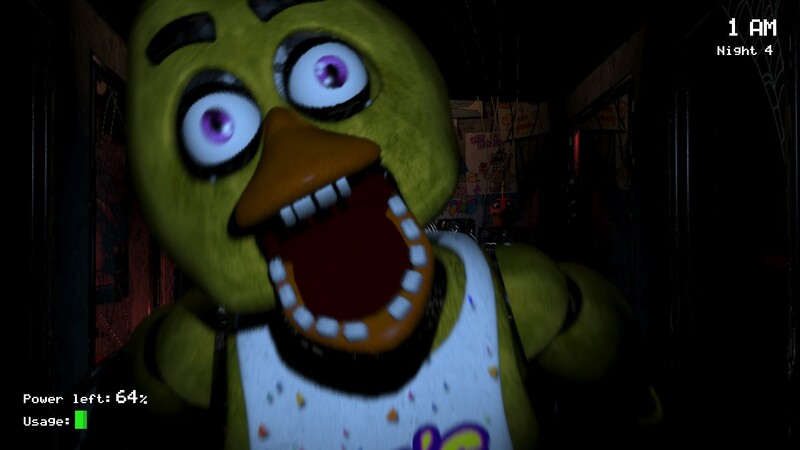 Bravo Cawthon, for making the scariest game in many, many years.